*** SLOW SITE *** UPDATE: Back to normal speed. Steve, The site has been slow to pull up all day. Anything you can do? Thanks. 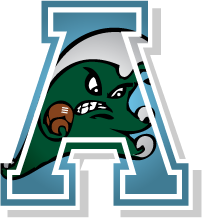 Tulane didn't have a stadium issue it had a program and facilities issues. To the new President- we want a new AD , a football facility and an IPF. We want top 25 programs in football and basketball the only two sports that count. wavedat wrote: The site has been slow to pull up all day. Anything you can do? Thanks. Must be the server, I'm noticing it as well. Yes, slow for me too. Something is up with GoDaddy. I'm not a fan of their hosting, and I'm researching other options. Because of our increasingly higher traffic volume, it may be time to go to a more dedicated solution. It all depends on $$$ obviously. I'm putting in a ticket with GoDaddy to investigate the issue. If there is no improvement by tomorrow, I will escalate the issue with support. Thanks for your patience and understanding. Krewe of Ham & Eggs wrote: This is obviously an attempt by Scott Cowen to try to shut the website down in order to keep people from calling for his and his puppet's head. If you don't believe this than you are either a plant from the university or have a learning disability... or both. If there were still a Computer Engineering department maybe we could work around the problem ourselves but The Wise One had to cut that program out. Thanks dpm. Unfortunately, their database size is capped at 1GB. FYI, our DB size is currently at 97.19 MB. So we are at 10% capacity, but I do need to start thinking about the future home of GOTULA. Fred Dowler wrote: If there were still a Computer Engineering department maybe we could work around the problem ourselves but The Wise One had to cut that program out. And I get what you're saying Fred, but I can build a computer from scratch and program one to do what I want, but tweaking the GoDaddy server is unfortunately not allowed. Just an update for you guys. The problem is somewhere in the middle, not sure where yet. There is nothing wrong with the software or with the GoDaddy server. When requesting this site by typing in http://gotula.net in your browser, there is a series of data exchanges between computers, transferring the site data from the GoDaddy server to the computer/phone in front of you. This is how the internet works ( a network of computers relaying information ). Well, somewhere along the way, there is a computer in the chain that is taking longer to respond than the others. It could even be down and not even responding, forcing the request to be routed elsewhere. At some point, this link in the chain will be discovered and taken care of. I'll let you know as soon as I hear more. Indeed, the old saying "a chain is only as strong as its weakest link" borne out. If anyone in GOTULA land is having no loading issues at all, please let me know where you are located geographically. Thanks. NOLABigSteve wrote: Just an update for you guys. The problem is somewhere in the middle, not sure where yet. There is nothing wrong with the software or with the GoDaddy server. When requesting this site by typing in http://gotula.net in your browser, there is a series of data exchanges between computers, transferring the site data from the GoDaddy server to the computer/phone in front of you. This is how the internet works ( a network of computers relaying information ). Well, somewhere along the way, there is a computer in the chain that is taking longer to respond than the others. It could even be down and not even responding, forcing the request to be routed elsewhere. At some point, this link in the chain will be discovered and taken care of. I'll let you know as soon as I hear more. Try getting THAT kind of explanation from someone on yoggie!!!! Appears to be fixed. Thanks Steve. winwave wrote: Appears to be fixed. Thanks Steve. Great work as usual Steve. Thanks. wavedat wrote: Great work as usual Steve. Thanks.